You are here: Home / cake cake cake / Chai Spiced Cupcakes with Chai Spiced Buttercream. 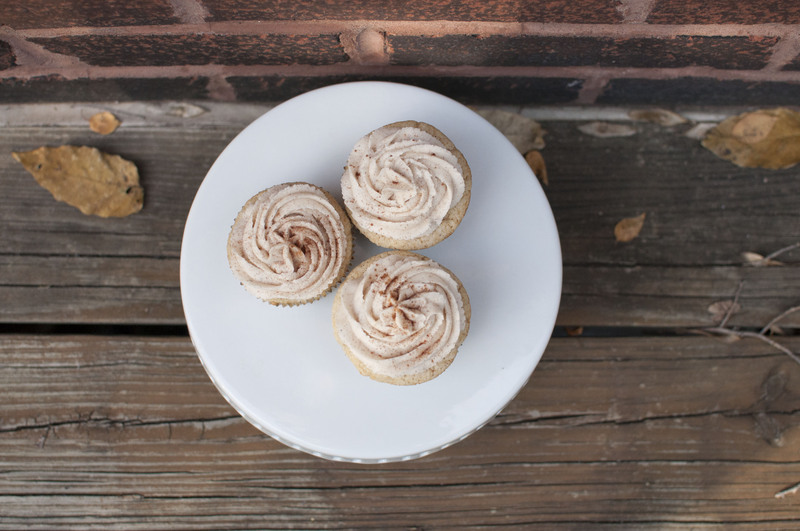 Chai Spiced Cupcakes with Chai Spiced Buttercream. Okay so, I absolutely LOVE everything chai. Chai lattes. Iced dirty chai lattes. [*With just one shot of espresso, because any more than one makes me hyper… and I’m not a hyper person by nature. Yikes.] Pumpkin chai tea. Plain chai tea. There’s really not that much to say about these. Chai flavors are just the shiznit, ya know? Cardamom, cinnamon, ginger… Yes. Because chai is obviously the shiznit, I think it goes without saying that these cupcakes are, by extension, also the shiznit [for you not-up-to-date-on-slang folks out there, “the shiznit” is a good thing]. The cake is a fairly light, moist, white cake that’s bursting with the best chai flavors. 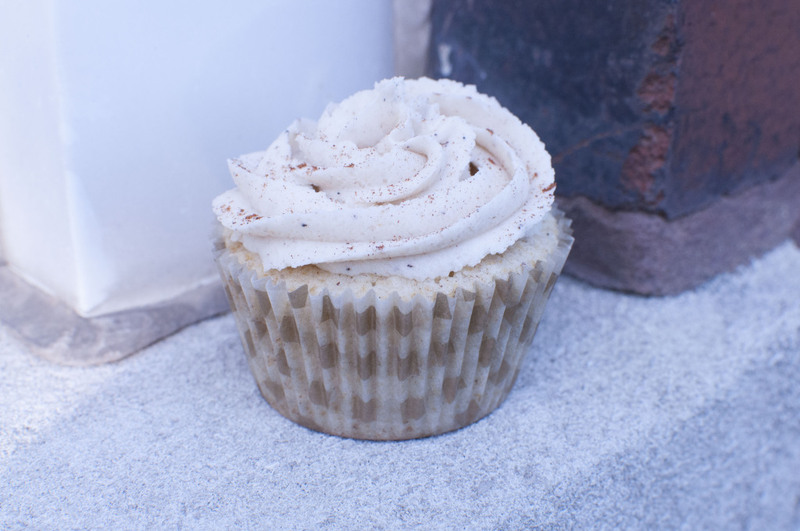 And the frosting is your typical vanilla buttercream, only it also has the amazing chai flavors mixed in. And then if you wanna go real balls to the wall, you can add a sprinkling of cinnamon on top of them after you frost them. 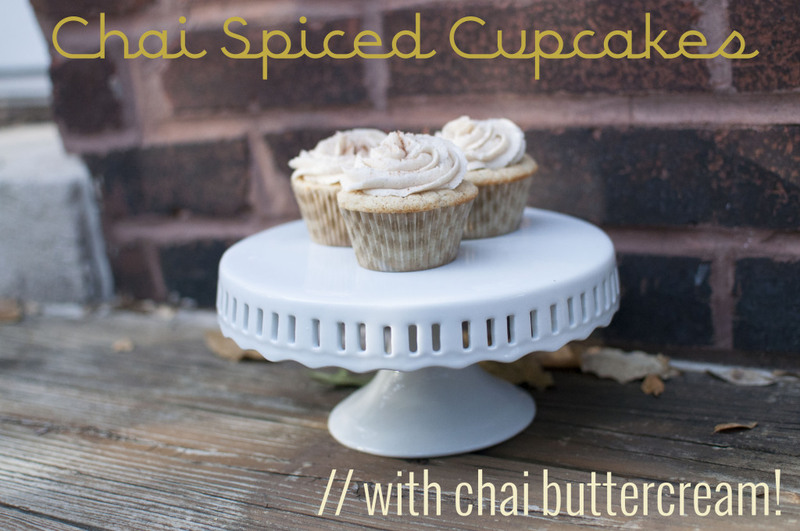 If you love chai drinks, and you like cupcakes… then these are clearly something that needs to be made. It’s just logical. Yield: If my memory serves me correctly, this recipe makes about sixteen to eighteen cupcakes. 1. Preheat the oven to 350ºF. Line muffin tins with cupcake liners [pretty gold ones would be super pretty for these!]. 2. Make the chai spice mixture: combine the ground ginger, cinnamon, cardamom, cloves, and black pepper in a small bowl. Set aside for later use. 3. In the bowl of a stand mixer, fitted with a paddle attachment [or a large bowl, using a hand mixer], cream together the butter and granulated sugar until they’re light and fluffy. Add in the egg and the vanilla, and scrape down the bowl as necessary until all ingredients are incorporated. 4. In a separate bowl, whisk together the flour, baking powder, salt, and 1 1/2 tsp. of the reserved chai spice mixture [note: remember, you’re only using 1 and 1/2 tsp. 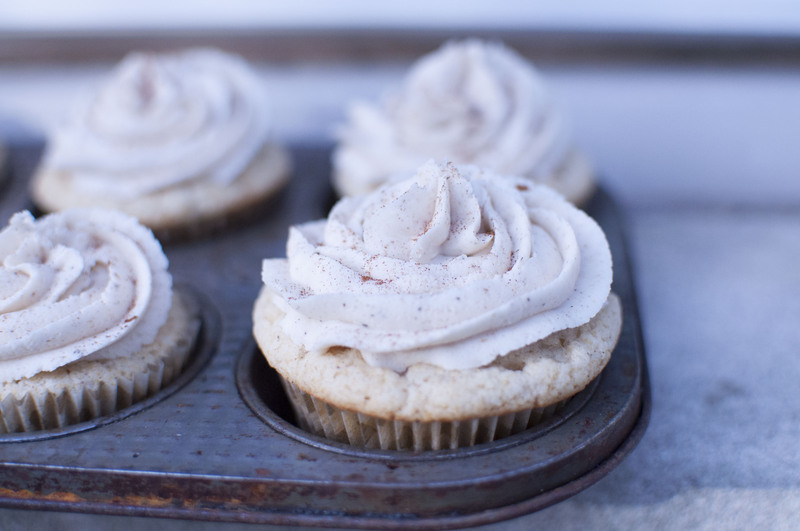 of the mixture – DON’T dump the whole thing in, or you’ll have an overload of chai spices in your cupcakes]. 5. Alternate adding the flour/spice mixture and the milk, and beat the batter until just combined after each addition. 6. Fill the prepared muffin cups 2/3rds of the way full with the batter. Bake for approximately 18-20 minutes, or until a tester/toothpick inserted in the center comes out clean. Cool for ten minutes in the pan, then remove from the pans and let cool completely on a wire rack. 1. In the bowl of a stand mixer, beat the butter until it’s lighter in color and fluffy. 2. Slowly add in the powdered sugar, the remainder of your chai spice mixture, and vanilla extract. 3. Beat until it’s light and fluffy and ready for piping; add milk as necessary, until you reach the desired consistency. 4. 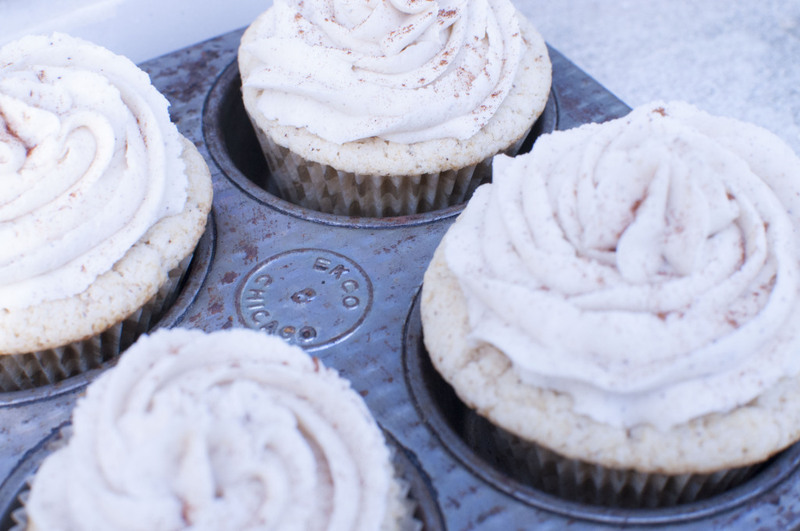 Pipe the frosting onto the cooled cupcakes, and sprinkle the tops with cinnamon, if desired. Recipe from Taste and Tell.